Abby’s Reflection Apparel & Quiltworks is Sitka’s quilt shop. Abby’s is the premiere shop in Alaska for “Alaska theme” 100% cotton fabric, quilting supplies, locally designed quilt patterns, quilt kits, locally designed cross stitch kits and Alaska souvenir apparel. We are located across the street from the St. Michael’s Russian Orthodox Church in picturesque downtown Sitka, Alaska.We are proud to feature one-of-a-kind Sitka fabric, with iconic images of Sitka and Southeast Alaska. This beautiful fabric was designed exclusively for Abby’s Reflection. We give prompt attention to all online orders. When you’re in town, stop into the store where our friendly quilting staff is always ready to assist you! 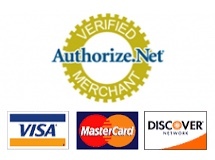 Feel safe using our secure website when you use our shopping cart “24/7” to purchase items online. You may visit our shipping page to see our mailing rates, or contact us to discuss your order, 907-747-3510. We assure you, we mail as economically as possible.